Venta Maria returns – è italiano! 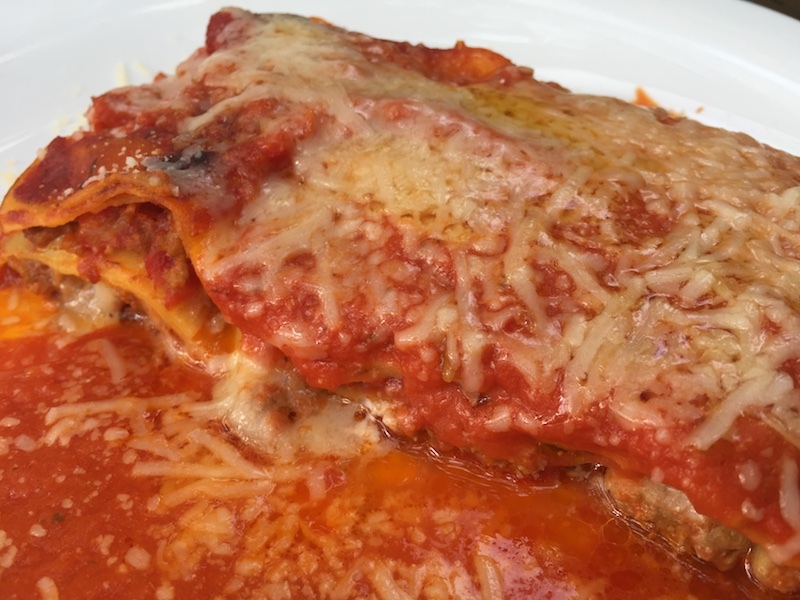 There’s been an American in Paris, an Englishman in New York, and now; an Italian in Órgiva – a bar, that is. The much-missed Venta Maria bar closed down a couple of years ago only to be reopened by the World’s most miserable owners who would greet you, arms folded, as if you’d shot their dog that morning. 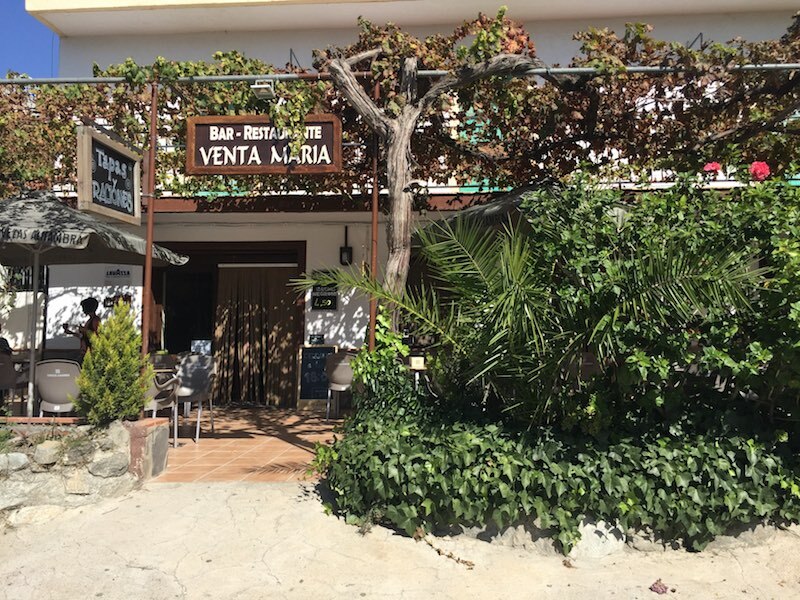 They’ve long gone and now Venta Maria has risen like a phoenix from the ashes and the smiles – and good food – have returned thanks to new Italian owners (‘Mono Stereo Food‘) who recently upped sticks from Fuengirola. Café solo and café con leche have been replaced on the blackboard with) espresso and cappuccino. The menu (currently handwritten, it’s early days) is simple but what you’d expect: gnocchi, lasagne, insalata caprese…it’s great to have a change. The bar is on the road out of Orgiva on the way to Lanjarón and for ages was a popular spot for the locals of Las Barreras – the hamlet in which it resides – and beyond. On Sundays, especially, it would fill with people enjoying the view of the mountains and watching the world go by, albeit opposite the recycling bins. 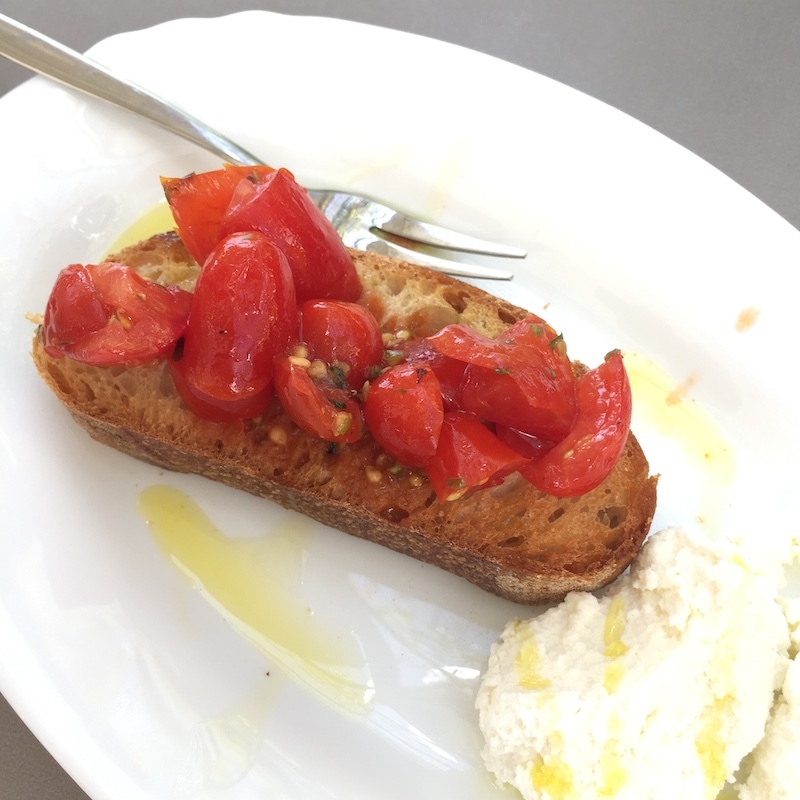 Unsurprisingly they serve bruschetta (with ricotta) as a tapa, focaccia and Italian wine which, despite obviously being imported, is great value at €2.20 a glass. It knocks spots off most wines offered locally for the same price. Even the beautiful neighbourhood cats – like a child’s collection of cuddly toys that have spilled out from a cupboard – have returned, weaving their way around customers’ legs on the terrace, asking for titbits. 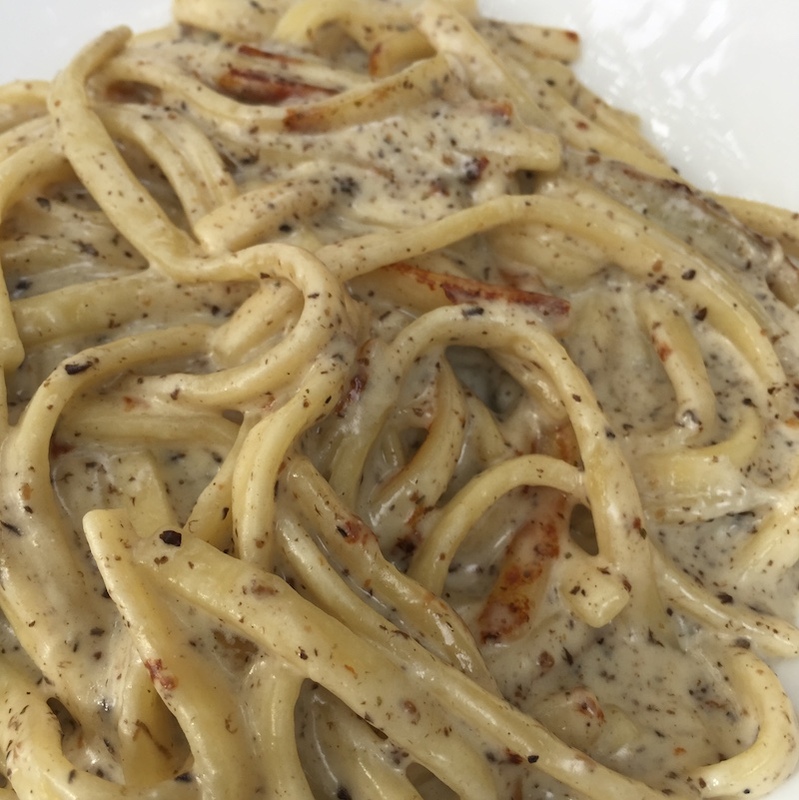 We had linguine (on the menu stated as tagliatelli) with gorgonzola and truffle cream (€8) and a lasagne (€7) – both were authentic and delicious. There was gnocchi too (€8) plus a grilled steak (€15) – that’s for another day. It’s great to have such a lovely place open locally and the staff could not be nicer. You can see it is a ‘work in progress’ at the moment (late 2018) but everything they do is with care and happiness. Time will tell if the menu choices increase and whether they begin to offer antipasti, seafood and a wide range of wines…and homemade gelato, which will be very welcome in summer. They already serve a Negroni sbagliato (€4.50) – which replaces the traditional gin with prosecco (or maybe cava around these parts) – so that’s a fine thing. We’ll try one when we’ve bought our first Vespa…or the next time we listen to Premiata Forneria Marconi‘s classic 1974 album ‘The World Became the World‘. Who’d have thought there would be a little slice of Italy in Órgiva? Opening times: all week (apart from Mondays) from 10am to 7pm, also open evenings Friday and Saturday.